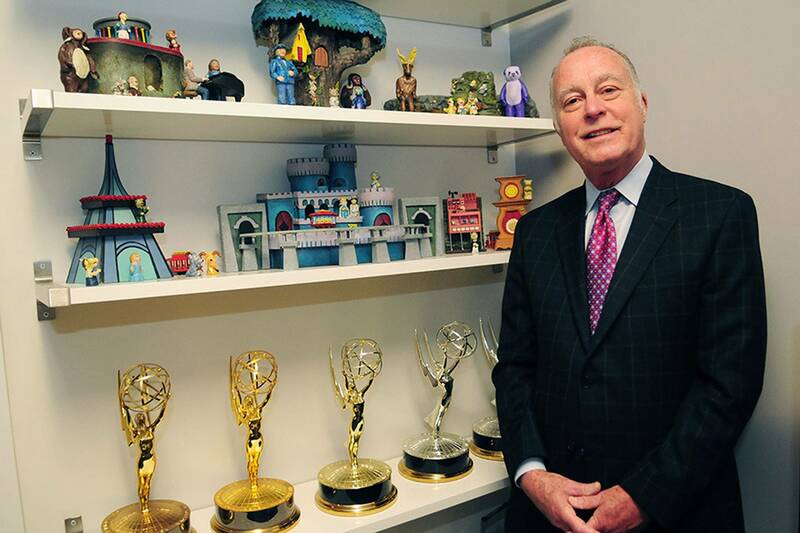 Early childhood educator William (Bill) H. Isler, who helped bring to life loveable characters such as Daniel Tiger as the chief of The Fred Rogers Company, is the 14th leader to be recognized with the PBS “Be more” Award. This annual tribute celebrates individuals who embody the spirit of helping all Americans to discover more, to experience more and to “Be more.” PBS President and CEO Paula Kerger presented the award at the PBS Annual Meeting in San Diego. Isler worked with Fred Rogers and served as president and CEO of The Fred Rogers Company from 1987 until his retirement in 2016. He worked on the iconic MISTER ROGERS’ NEIGHBORHOOD and led The Fred Rogers Company in extending Fred Rogers’ values and approach through new initiatives. Under Isler’s leadership, The Fred Rogers Company produced three PBS KIDS hit series: DANIEL TIGER’S NEIGHBORHOOD, PEG + CAT and ODD SQUAD, which have garnered17 Daytime Emmy awards to date. Bill Isler is a longtime professional educator and advocate for children. He began his career as a teacher and administrator, then joined the Pennsylvania Department of Education, where he served as Commissioner of Basic Education and Senior Program Advisor for Early Childhood Education. In addition to his leadership role at The Fred Rogers Company, he is Board President of the Pittsburgh Public Schools and Executive Director of The Fred M. Rogers Center for Early Learning and Children’s Media at Saint Vincent College. Bill is the father of an adult son and is active in the community, serving on the boards of several nonprofit organizations. The PBS “Be more” Award is an annual honor that recognizes extraordinary individuals who inspire people of all ages to expand their horizons, to experience growth and adventure, to explore new ideas and to “be more.” The award’s previous recipients are Ken Burns, Joan Ganz Cooney, Rebecca Eaton, Jim Lehrer, Bill Moyers, Fred Rogers, Neil deGrasse Tyson, Gwen Ifill, Alberto Ibargüen, Miles O’Brien and David Fanning.